Harbinger Capital Management LLC fund manager Philip Falcone has reportedly agreed to eventually withdraw from his leadership position with LightSquared Inc., the would-be wireless broadband that ran into problems because its proposed terrestrial transmitters would have caused interference to GPS receivers. News reports today (April 30, 2012) cited sources close to negotiations between Falcone and investors in LightSquared, indicating that Falcone would be willing to leave his seat on the LightSquared board and not have a direct leadership position at the company in return for more time in which to keep it out of bankruptcy. The hedge fund headed by Falcone is LightSquared’s biggest financial backer and faced a 10 a.m. (EDT) deadline to work out a deal with LightSquared’s investor/creditors. Although the Federal Communications Commission (FCC) appears to be holding firm on its pending withdrawal of authorization for LightSquared Inc. to build its terrestrial network, Falcone continued to press the case for the company after he joined the LightSquared board of directors following the resignation of former CEO Sanjiv Ahuja in late February. 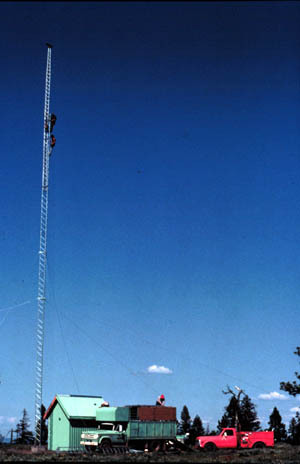 News media in late April reported that LightSquared had tripled its expenditure from a year earlier for lobbyists trying to persuade Congress and government agencies to salvage the broadband initiative after technical tests demonstrated that its ground-based transmissions would interfere with GPS user equipment operating in the adjacent L1 band. The investors who hold substantial amounts of LightSquared debt believe that the company still has substantial assets in the form of its spectrum licenses, which they are pressing Falcone to sell. Meanwhile, according to an April 23 Bloomberg News article, LightSquared made a $56.3 million payment on April 20 to Britain’s Inmarsat Plc to continue the companies’ spectrum-cooperation accord and was granted an extension on further installments, gaining more time to win approval from U.S. regulators. On April 17, Bloomberg News reported, LightSquared executives told FCC officials that withdrawing the conditional permits would “set a disastrous precedent” and make it harder to assign airwaves for use by mobile Internet companies. The company has also asked the agency to find a suitable swath of frequencies for its broadband service elsewhere in the RF spectrum that would not cause interference problems. Nonetheless, investors in Harbinger Capital LLC are pressuring Falcone to drop his high-profile role as advocate for the broadband company. Harbinger Capital Management has invested more than $3 billion in LightSquared, which is reportedly valued a just more than half a billion dollars now. Falcone told the Wall Street Journal in early April that LightSquared was considering declaring bankruptcy as a way to preserve the value of its spectrum assets and continue its effort to build out a nationwide broadband service. LightSquared’s problems have severely affected the value of Harbinger’s flagship fund as well, which lost 47 percent of its value in 2011. LightSquared recently announced plans to lay off about half of its 330-member staff. Investigations of the FCC’s initial “fast-track” approval of the LightSquared proposal have been launched by the House Energy and Commerce Committee and the Senate Commerce Committee, which have authority over the agency. Last Friday (April 27, 2012), Sen. Charles Grassley (R-Iowa) said he would lift a block on two FCC nominees, which he had placed four months ago in an effort to force the FCC to provide him with documents on the LightSquared case. The agency had refused to turn over documents to Grassley but recently agreed to a similar request by the House Energy and Commerce Committee, which has oversight of the agency. A comment period ended March 30 on the FCC’s proposed withdrawal of its 2011 conditional waiver order granting LightSquared’s request to build up to 40,000 high-powered ground transmitters. In its final comments, LightSquared lashed out at the test protocol (which it had overseen with the GPS Industry Council) and appeared to threaten legal action. The agency, however, has not made a final decision in the case.